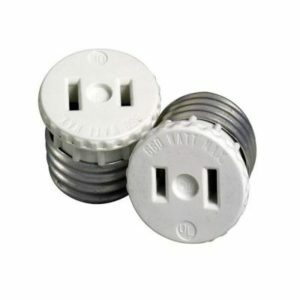 Perfect for workshops and garages|Two Light Bulb Outlet adapter|660 Watt|125 Volt|Black.Converts single socket to light bulb sockets with 2 standard plug outlets. UL listed. JAMES electrical accessories for the home include taps and adapters, night lights and battery operated lighting. Every electrical accessory is subject to JAMES’s strict in-house quality control and must meet or exceed applicable industry standards. 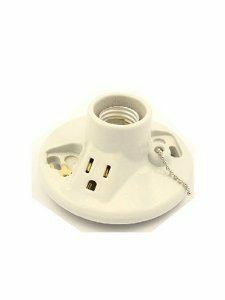 Two Light Bulb Outlet – converts single socket into a socket with two outlets.